When Jan Koum and Brian Acton sold WhatsApp to Facebook for a staggering $19 billion (£14 billion) in 2014, the pair made quite a bit of cash. Koum, for example, walked away with $7.5 billion (£5.8 billion) and, like many of us would do with a sizeable windfall, he went car shopping. But now, he has decided to offload 10 limited-production Porsches, saying: “If I had unlimited time and unlimited garage space, I would never sell any of them, but nevertheless I’ll be very happy to see the next owner driving these special cars on the road or on the racetrack.” If you fancy being that next owner, pop along to the Gooding & Company Amelia Island sale in March. The cars are to be offered with no reserve, but that doesn’t mean you can expect to grab a bargain at the Amelia Island auction. 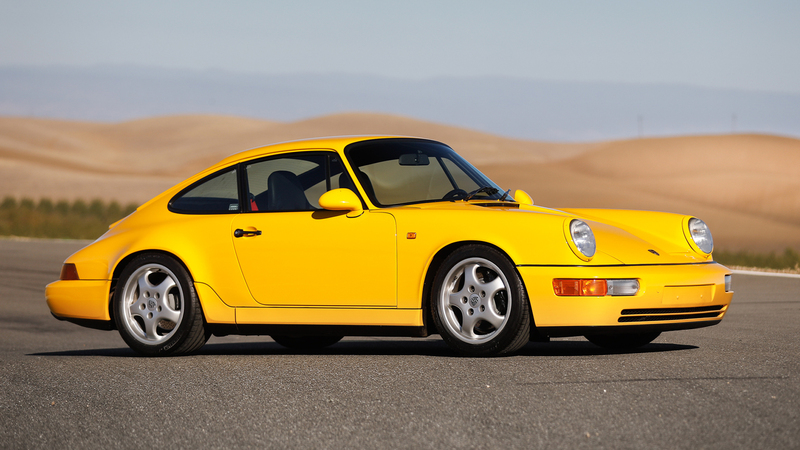 As Koum said: “Many of these Porsches offered for sale are the best examples in the world and they are all an important part of my collection.” This Porsche 964 RS 3.8 wouldn’t have come cheap. It’s one of 55 built and one of only 12 finished in Speed Yellow. 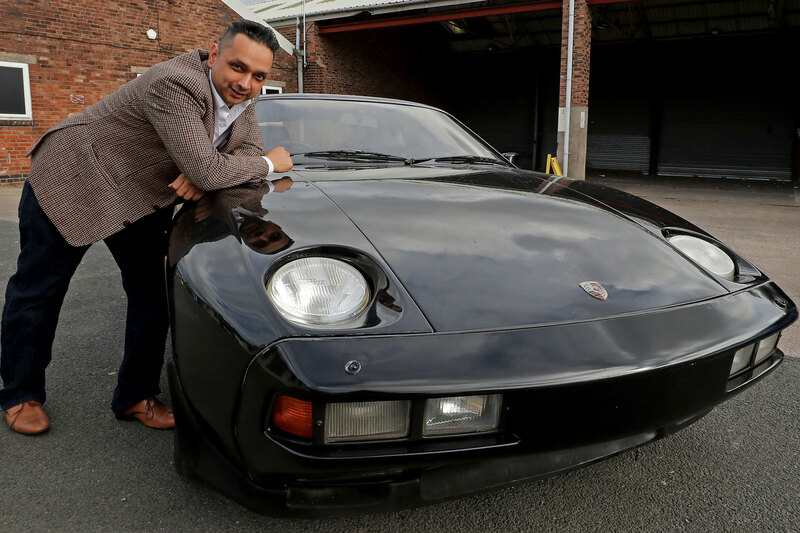 Widely regarded as the ultimate 964 model, Koum’s car was sold new in Japan and has seen very little use. Although there’s no guide price or reserve, it is widely expected to sell for at least $1 million (£777,000). Another rarity is this 1992 Porsche 964 Carrera RS. One of only 1,910 lightweight models built, this low-mileage example was delivered new in Italy and ordered in paint-to-sample Blossom Yellow. 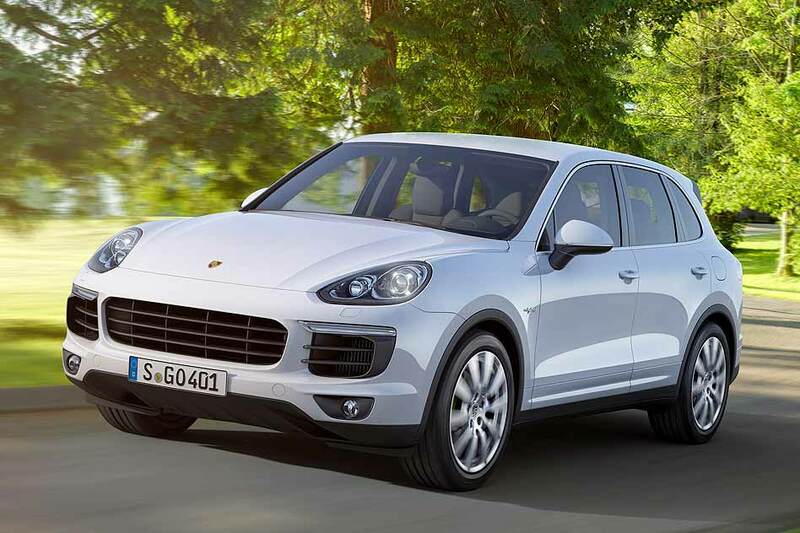 These ‘Basic’ models were designed to be highly responsive street or track cars with no luxury options available. All but the essentials were removed to save weight – even the electric steering was dispensed with. At last year’s Amelia Island sale, a 60,500km example sold for $218,400 (£170,000). 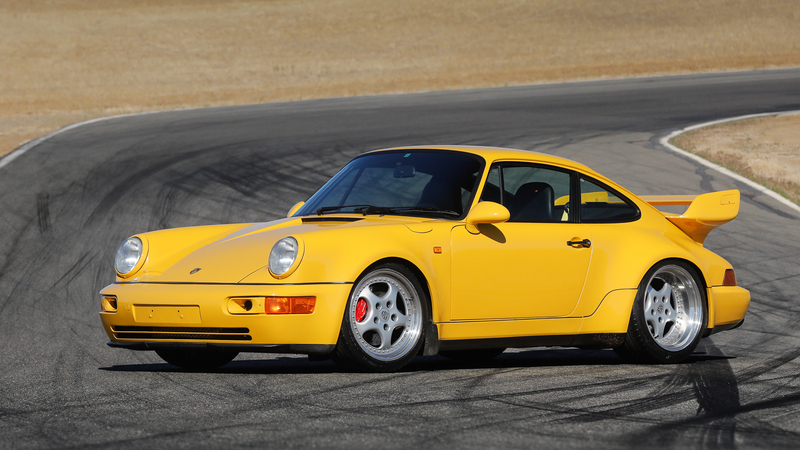 The 1995 Porsche 993 Carrera RS was the final air-cooled Carrera RS model, built as a homologation special to qualify the RSR 3.8 for BPR GT3 and GT4 racing. It was never offered in the US when new, but, unsurprisingly, some have made their way stateside. 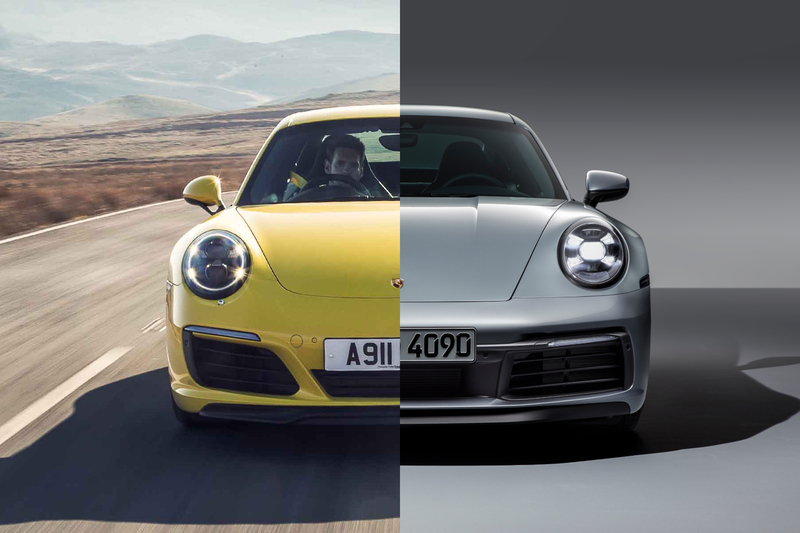 At its heart is a 3.8-litre flat-six engine developing 300hp, with the engineers in Stuttgart going to great lengths to create a lightweight RS model. This example was delivered new in Germany and finished in Speed Yellow. 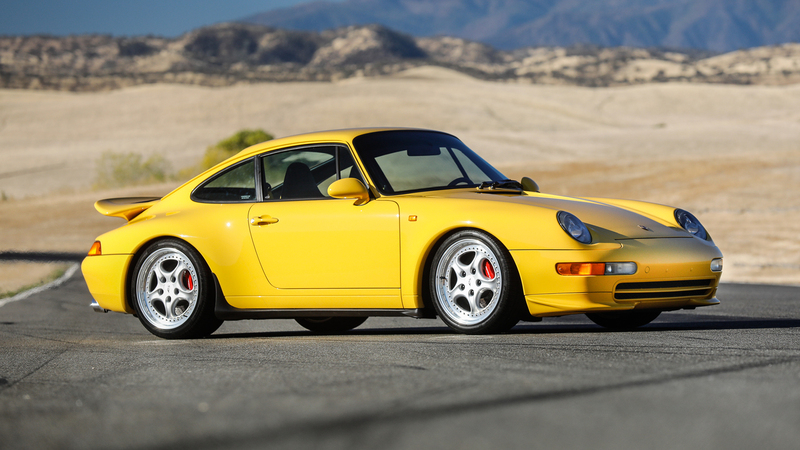 It’s one of a handful of 993 Carrera RS models in the US. 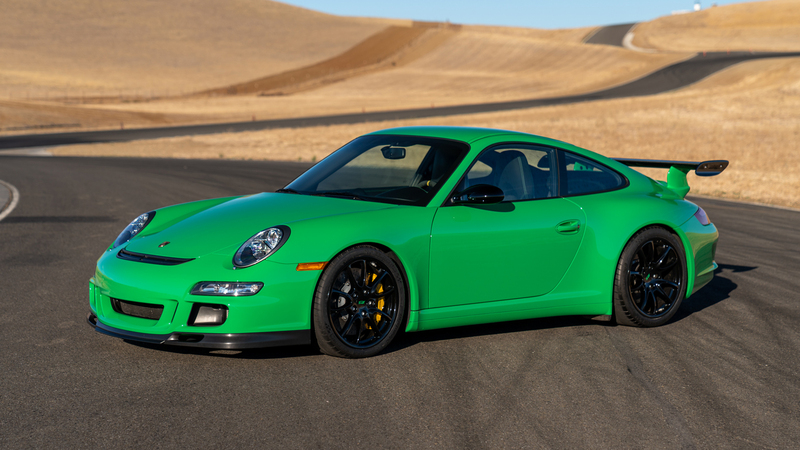 This 2008 Porsche 997 GT3 RS 3.6 is one of just 53 North American specification examples finished in RS Green and is a highly optioned example with 12,000 miles on the clock. 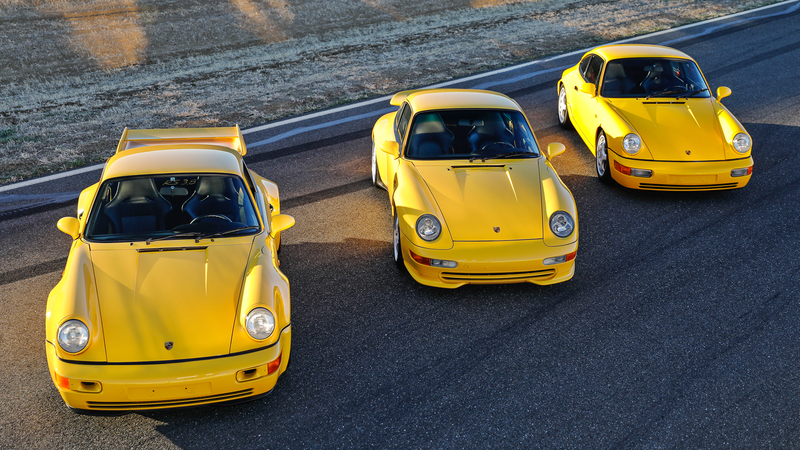 “These meticulously curated Motorsport Department models illustrate the remarkable evolution of Porsche performance over the past 25 years – from the air-cooled Carrera RS of the 1990s to the latest groundbreaking supercars,” said David Brynan, senior specialist at Gooding & Company. 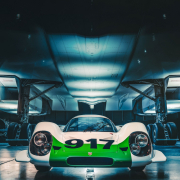 “We are thrilled to be presenting these examples of Porsche greatness from a dedicated collector who has painstakingly assembled an unrivalled collection,” continued Bryan. This 2010 Porsche 997 GT3 RS 3.8 is equipped with carbon-ceramic disc brakes and finished in the colour combination Porsche used at the vehicle’s launch. It’s powered by a 3.8-litre flat-six engine producing 450hp and could sell for upwards of $200,000 (£155,000). 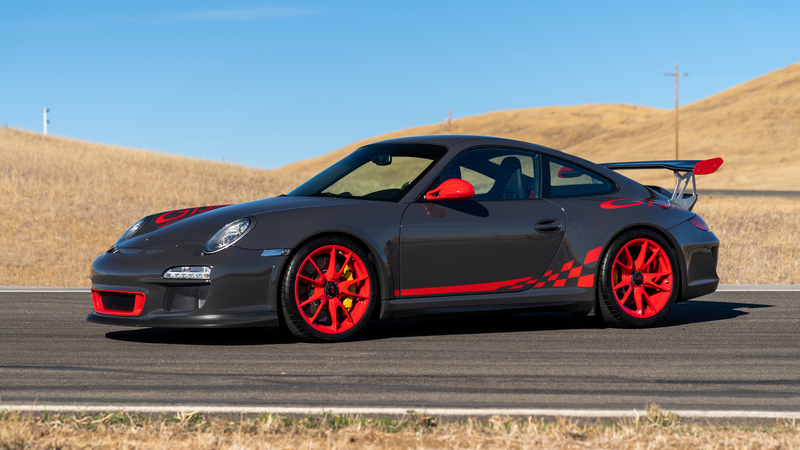 This 2011 Porsche 997 GT3 RS 4.0 is one of only 600 examples built, with just 158 specified for the North American market. According to Gooding & Company, it’s the only North American car with carbon-ceramic brakes, red and black two-tone seats and adaptive sports seats. Amazingly, it has covered just 150 miles since new. 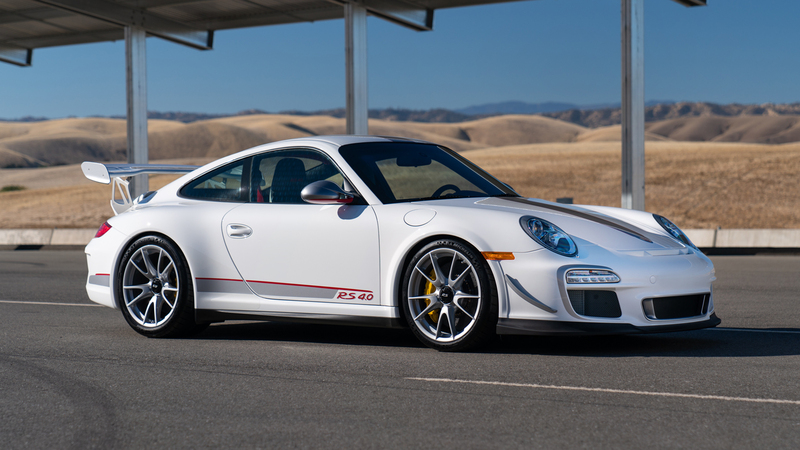 Porsche offered the 997 GT3 RS to its most loyal customers, each one with a price tag of ‘just’ £128,466. 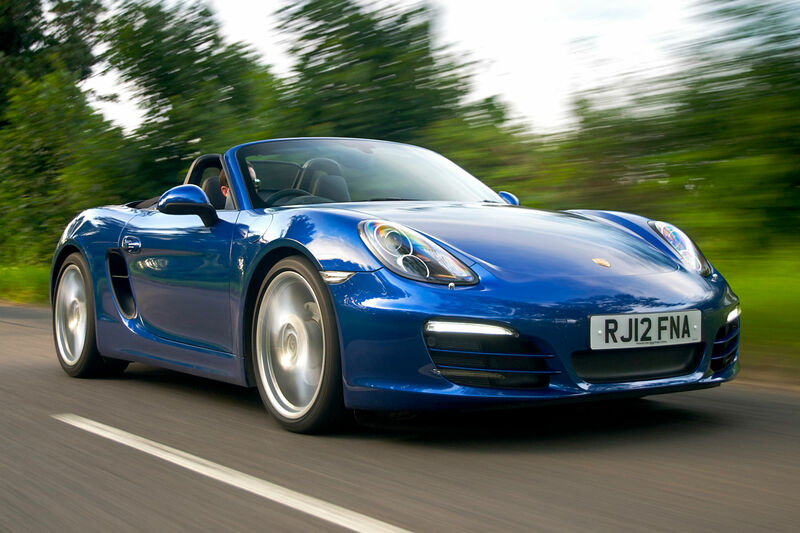 A small price to pay for what was, at the time, the definitive Porsche 911. 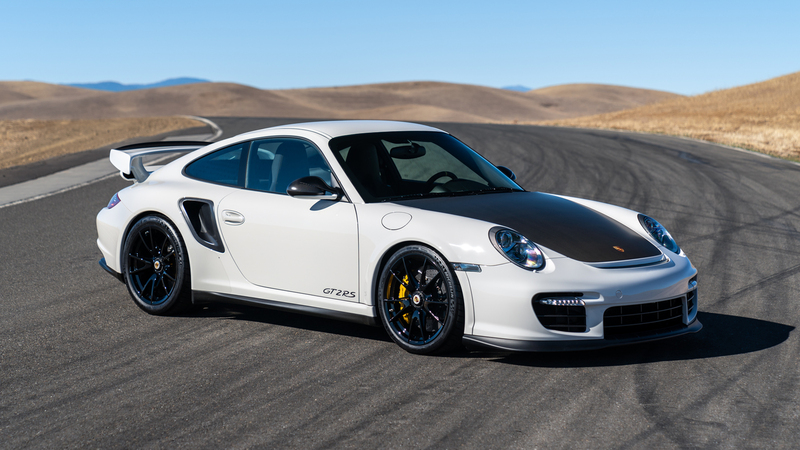 This is the fourth and final 997 in the Koum collection: a GT2 RS with just 500 miles on the clock. 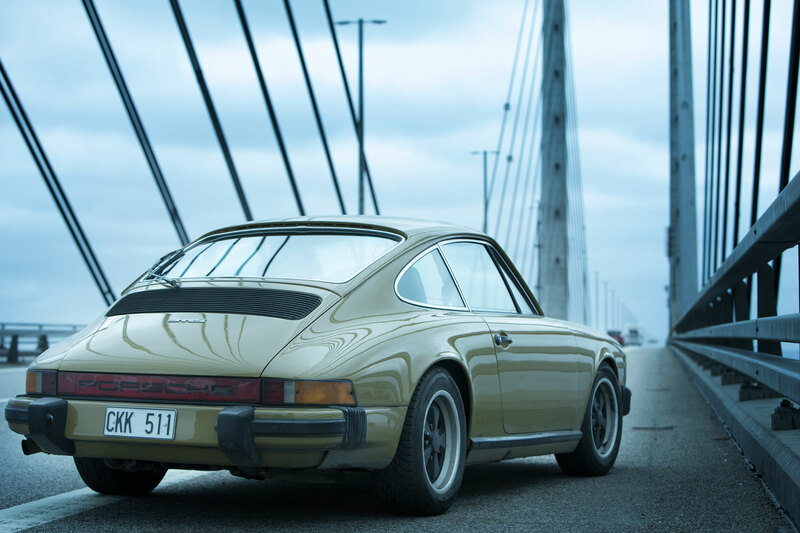 Of the 500 built, just 142 were supplied new in North America, and it was the first production Porsche 911 to break the 600hp mark. It went around the Nürburgring Nordschleife in 7min 18sec – faster than the Carrera GT – and it could hit 100mph in less than seven seconds on its way to a top speed of 209mph. Last year, one of these sold for $445,000 (£345,000) at Monterey Car Week. This one could top half a million dollars. 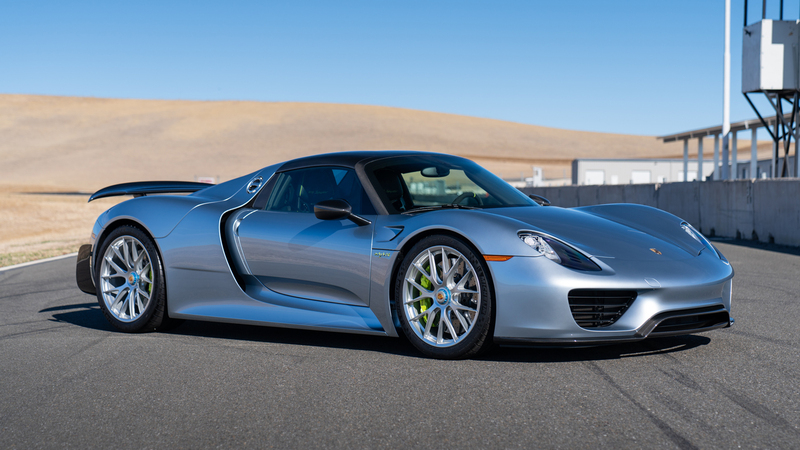 If last year’s auction results are anything to go by, this Porsche 918 Spyder will fetch at least a million dollars, possibly even $1.5 million (£1.1 million). 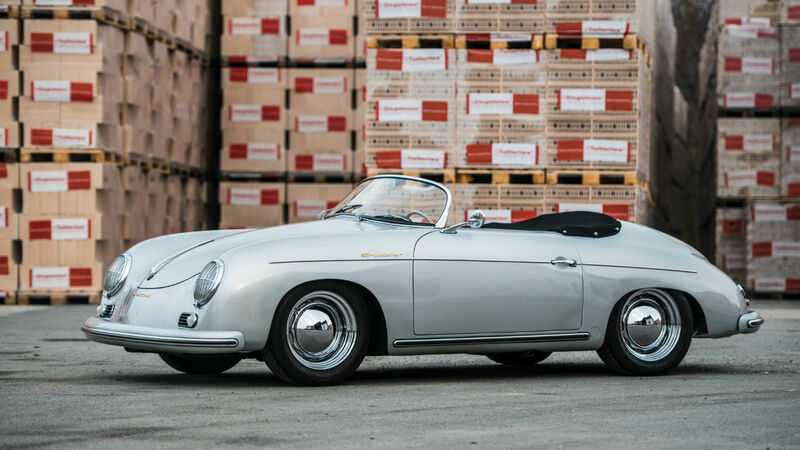 A single ownership example with just 225 miles sold for $1.4 million (£1 million) at the RM Sotheby’s Porsche 70th Anniversary auction. Good lord. 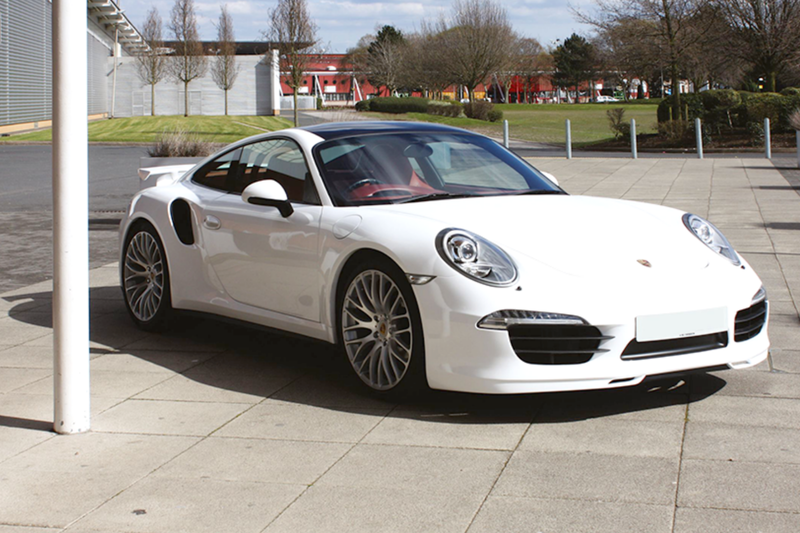 Not only is this one of just 991 examples built, it still retains its delivery packaging from the factory. 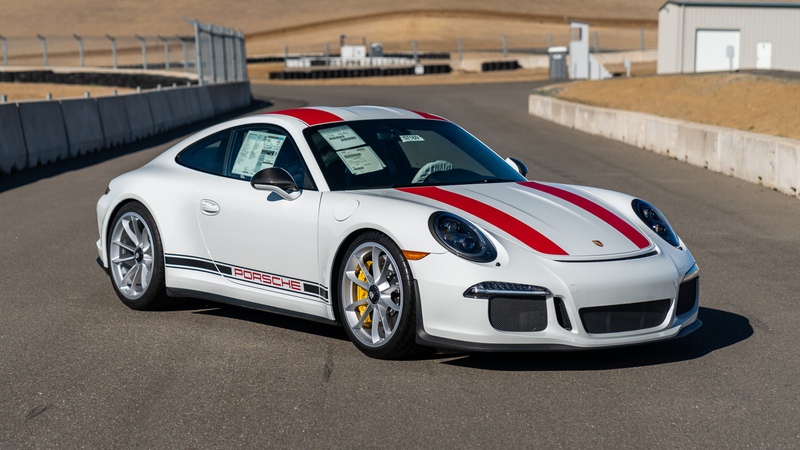 That’s right, this Porsche 911 R has never been used. Back when this was new, the 911 R was one of the hottest tickets in town, with the waiting list all but rendering the £136,901 price tag null and void. What will this delivery mileage example sell for? Well, at last year’s RM Sotheby’s London sale, a 37-mile example sold for £332,375, while a 20-mile car sold for $379,000 (£295,000) at Monterey. This car should set the tone for prices in 2019. 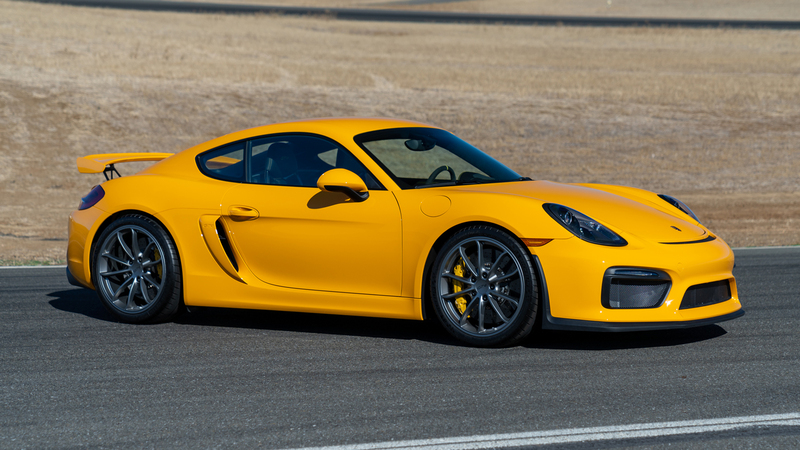 Concluding Koum’s collection is this 2016 Porsche Cayman GT4. It was specially ordered in paint-to-sample Signal Yellow and optioned with a lightweight build that included carbon-ceramic brakes, carbon-fibre bucket seats, radio delete and a lightweight battery. It has just 500 miles on the clock. Jan Koum said he would be “very happy to see the next owner driving these special cars on the road or on the racetrack.” You know what to do.